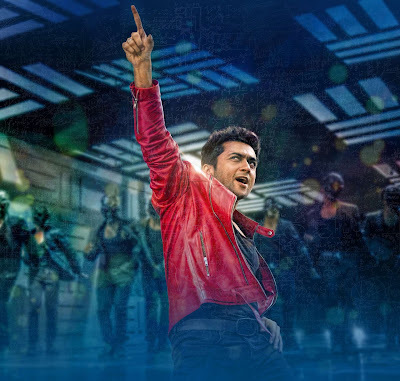 SURIYA’S MOST EXPECTED FILM ! Maatraan is the next upcoming movie of Surya after his 7aum Arivu. It is expected high as the Ayan team joins once again. So it also will be a super duper hit for both KV Anand and Surya. The movie has grabbed headlines for the state-of-the-art PCT (performance capture technology) being utilized by KV and his group of technicians first time ever in an Indian film. Now the team is working on some of the patch works in the city. But the production company AGS has started the business progress. The romantic pair Surya and Kajal Agarwal danced very well for the number composed by Harris Jayaraj. It is said that the team is eyeing a record price for the domestic rights of the film. With 90% shoots completed, Maatraan turns out to be Suriya’s most expensive film till date. The makers are expecting the movie to be completed for an September or October release. The production is sure that they will sell the rights of the movie for whopping price of Rs.83 crores and the audio rights to 2.5 crores for Sony music. This is the one film which goes to the red carpet premier show in London after Endhiran… K.V Anand and his team put lot of hard works And We can surely say we will expect a pure film. Suriya & Kajal is joining for the first time, and a lot of chemistry between them as well.